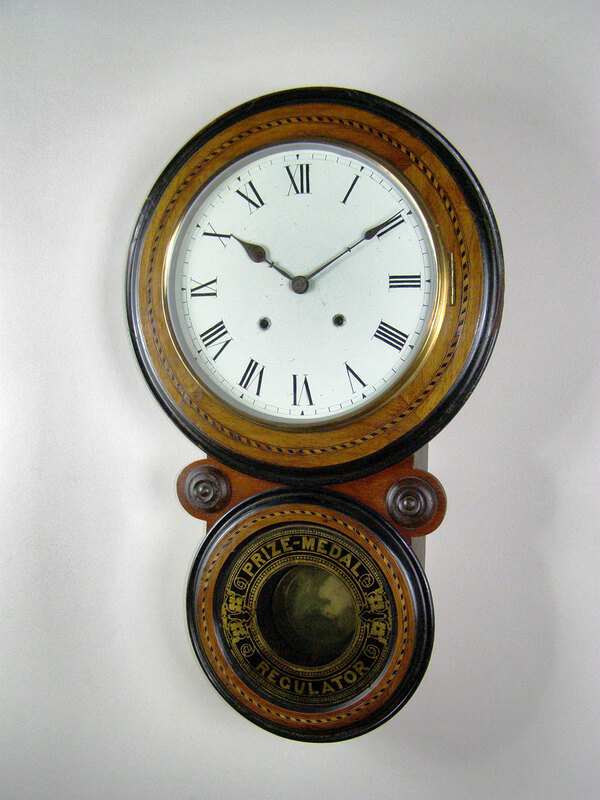 This is an American Figure 8 clock, the maker unknown. 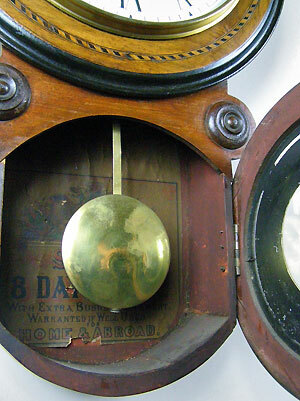 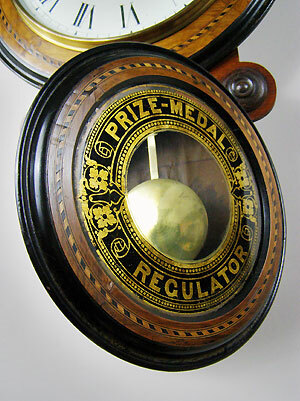 The clock has an eight-day movement with strike on gong, a 12 inch (30cm) Roman dial and the lower table is edged "Prize Medal" "Regulator". 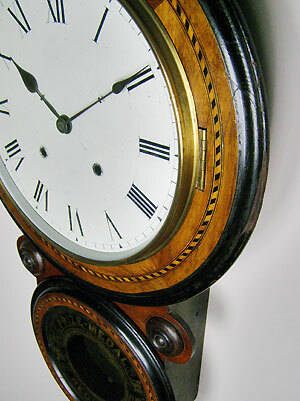 The clock has a walnut case with inlays.